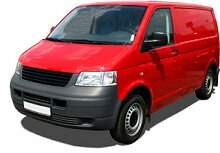 What are the benefits of having a manual for my van? For starters you get an easy-to-use guide covering most every component of the vehicle. One that was written with the do-it-yourselfer in mind. Haynes and Chilton repair manuals are a result of hundreds of hours of work where mechanics and writers work in tandem to outline the best and easiest procedures so you, the reader, can perform them at home. From basic vehicle maintenance to more involved projects, such as rebuilding the engine. The hands-on approach to writing and documenting the process is supported by detailed vehicle specs, exploded views of components, torque specs when appropriate, and sharp photos. This attention to detail allows the DIY mechanic to perform maintenance, service, or repair work on a full-size cargo van or minivan like a professional.